Atom Wheels has been the leader in Wheel manufacturing since 2008. With multiple innovations to date, Atom continues to lead the industry in breakthrough advancements in wheel manufacturing. Flagship styles such as the Poison, Juke, and Boom continue to dominate the floor at derby events all over the world. 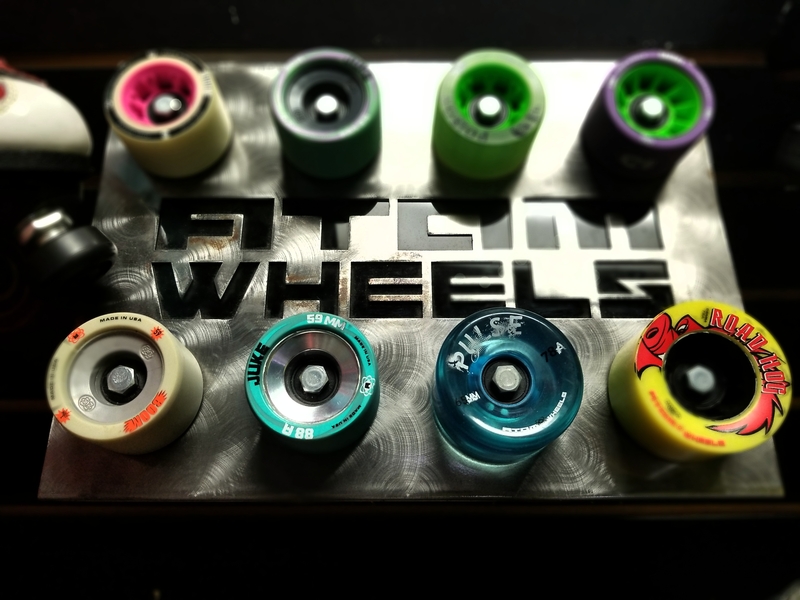 Atom Wheels was one of the first companies to break ground on 59mm wheels, Hybrid style wheels, Hollow Core wheels, and first to bring unification between plastic and aluminum for cores. Atom will continue to bring you breakthrough wheels throughout 2016 and beyond! Why did Atom bring 59mm wheels to the game? The answer is simple! With a smaller track, you need to be agile as well as be able to stop at a moment’s notice. 62mm wheels were made for longer roll on tracks for speed skating, session, etc. These wheels did not allow for maneuverability nor acceleration. 59mm will forever be known for fast acceleration, immediate stopping ability, and “Juke-ing” people out of their skates! The 62mm – Let’s Roll! 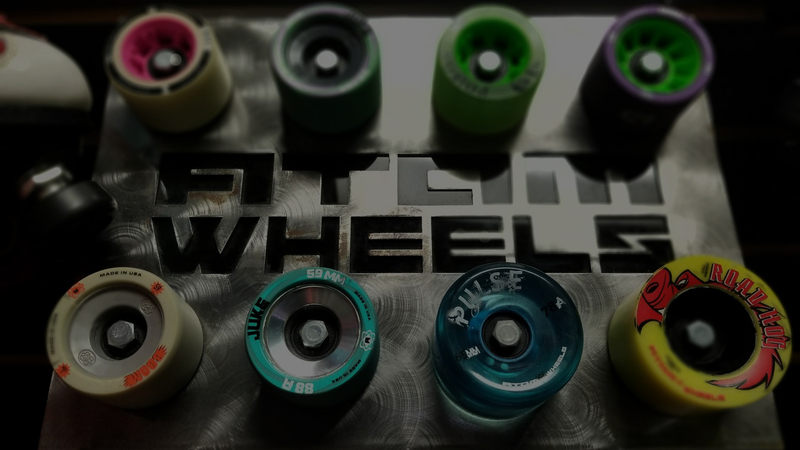 62mm wheels have become synonymous with roller skating. This size wheel can be found on all styles of packages from beginner to advanced. Mostly seen on speed style tracks, 62mm wheels allow for more roll along with a “snap” effect coming in and out of the corners. This size wheel is great for speed skating, session skating, and especially beneficial for derby skaters who need that extra surface area for balance and/or push. Nylon Cores – As always, Atom Wheels had to be different and take a core that has been around for many years and bring into the 21st Century. Nylon Hollow Core Technology – Before hollow core there was only heavy aluminum hubs and soft open cored hubs. Atom heard you right from the beginning! We understood that skaters needed a lightweight wheel but still needed the amount of roll that an aluminum core offered, hence hollow core technology. Hybrid Alloy Hollow Cores – Think Hollow Core, but 100 steps into the future! We took hollow core technology and aluminum core technology and smashed them together like a sandwich.